Was a lonely Goatherdess? I have never researched if a female goatherd is properly called a goatherdess or not. I do know that Spell Check does not like that word. Nevertheless, I am a goatherdess, not lonely, but I definitely herd goats. 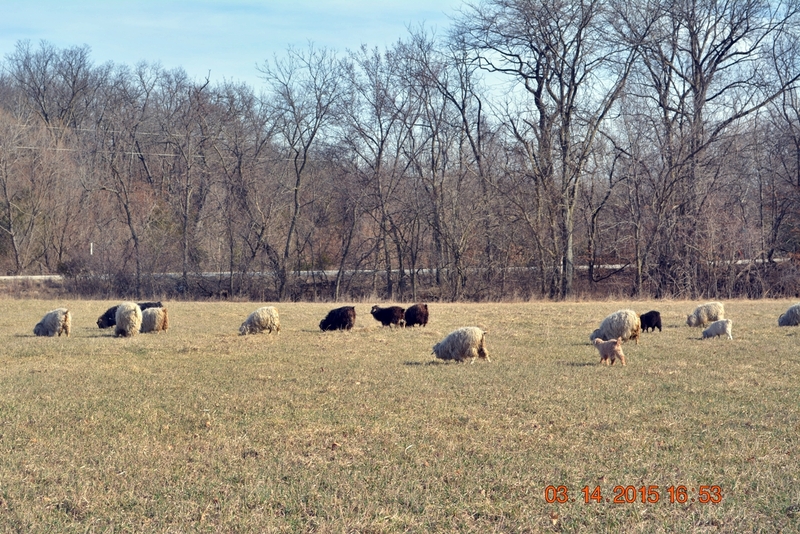 We discovered last December, that the entire herd was sneaking into a neighboring hay field on a regular basis and munching on the round bales there. This is not a neighborly way for the goats to behave, so I have been working hard to try to keep them on our property. Instead of allowing them to roam around and eat our own hay, grown on our own hayfields, I have been unraveling the big round bales every morning – I put big chunks of hay on the Polaris Ranger, drive over to the goat pasture, and throw the hay over the fence for them. Around 1 pm every day, I put soaked beet pulp into several different feeders and then let the goats out of their pasture so they can free range our farm. Until I can complete goat proofing our perimeter fences, that means I have to keep an eye on them before they sneak onto the land to our south – even though it is 1/4 mile away from our own hayfield. This entry was posted in Castle Argghhh Farm, Goats and tagged goats. Bookmark the permalink.